Barbara Shallue did an excellent job helping me to find a home in Lago Vista.... She not only knows the area well, but was so kind and helpful that the closing was a breeze. I highly recommend her if you are looking to buy a home in the Austin area. I think we'd still be looking if it wasn't for her tenacity and market knowledge. We're very thankful for her partnership + professionalism. It was a pleasure working with Barbara! She helped my husband and I purchase our first house. 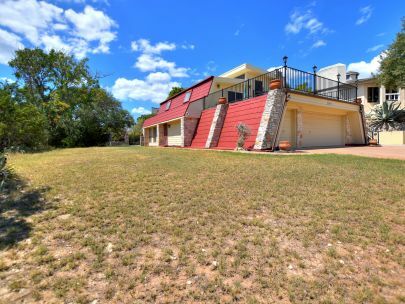 She was flexible when showing us houses and very knowledgeable about the Austin market. To top it off - she's as sweet as pie :) We highly recommend her! We purchased a condo in April near the UT campus and she went above and beyond. We were pleased with Barbara. I gave her my list of must haves and she only sent me listings that matched that. "...she always puts her clients interest at the forefront and treats her clients like family. Highly recommend." She was very knowledgeable of the NorthShore area, as well as in to Austin and surrounding areas. She is very patient and thorough, and is always watching out for your best interest. I was looking for a condo for my son whose a UT student.... She found us a great unit on the southern edge of Hyde Park near Guadalupe - it met all the criteria. We wanted someone who could help us with our first home purchase, and someone that wasn't going to pressure us into anything, but she was more than willing to fight for us. Thanks to her, we will be moving into our first house soon! Barbara did a great job at helping my wife and I to find a Condo in Austin. Truly a pleasure to work with. Professional and pleasant at all times. Super professional who knows the business and is able to work out the details between all parties involved. Barbara definitely represents and works hard for her clients. We had a smooth and wonderful experience, thanks to her professionalism. Barbara has helped our family get into two different homes! Barbara helped me and my husband buy our first house. She's knowledgeable, hardworking, and perhaps above all very patient with first time home buyers. Barbara made my maiden voyage into Austin real estate nothing but pleasurable. Barbara's professionalism and refreshing personality made a normally hectic task enjoyable. Best realtor EVER!!! 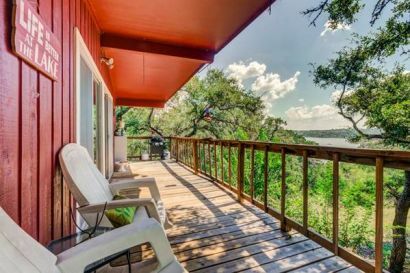 My husband and I were relocating from Phoenix to Austin and needed to find a house to lease sight-unseen. We were referred to Barbara by an agent in Phoenix and could not have been happier with the quality of service we received! If you need help finding the perfect house please give her a call. You won't regret it!!! Barbara was so helpful in helping me find the perfect home for my father. Very professional and dedicated to her clients. If it weren't for Barbara, my house would probably still be on the market. My wife and I relocated from Illinois to Austin October 2014. Not knowing anyone in the area we found Barbara on the internet and reached out for help. Barbara was great! Barb did a great job finding us the perfect lot and then helping us work through the negotiations and closing. All in all a thoroughly professional, efficient and well executed process. 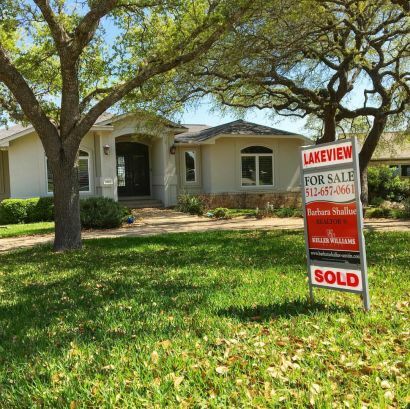 Ann and I want to thank you for all of your outstanding service while helping us look at properties and most recently the sale of our lot in Lago Vista. I recommend Barbara highly. She was most accommodating. I am not computer literate. Barbara contacted me weekly via phone keeping me up to date and well informed. Barbara is an excellent realtor. Not only is she knowledgeable but Barbara emanates a sense of trustworthiness that makes you feel very secure during the process.